First of all is that header NOT the most adorable you've seen? I love it. I'm into polka dots lately and those are too too cute! 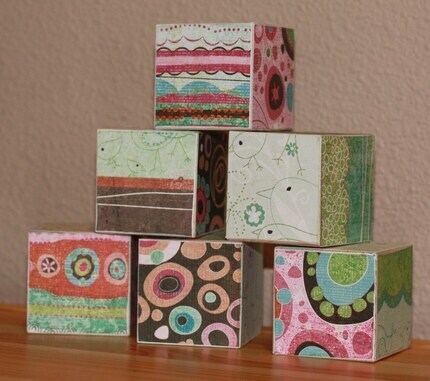 Anyway, Magens Bay Designs is an Etsy shop that mostly makes blocks. What kind of blocks you're wondering? Kids building blocks! They are adorable too. She uses scrapbook paper on them and they are too cute! We received the Paisley Delight set of 30 blocks. We love these blocks. Avery plays with them often. I think these are better for kids than regular blocks because they can find the patterns. Match them up or find all the different patterns. How many patterns can you find type thing. Avery loves these though and I do too. They are very well made. It's scrapbook paper, but I'm guessing it's Mod Podged on and then Mod Podged over the paper as well. She then sanded down the sides to some of the block is showing on all sides around the paper. You can kind of see that in the last picture there. They are SUPER adorable though and she has 50 different sets to choose from!! Yes 50! Here are some more of my favorites. So she has girl patterns, Boy patterns, unisex patterns, and Holday and festive! Some have alphabet letters on them! They also come in packs of 6, 15 or 30. And then the word ones are certain amount of letters. Like Happy Halloween is 14. TRICK OR TREAT is 12. etc. But the main ones are 6,15 or 30. 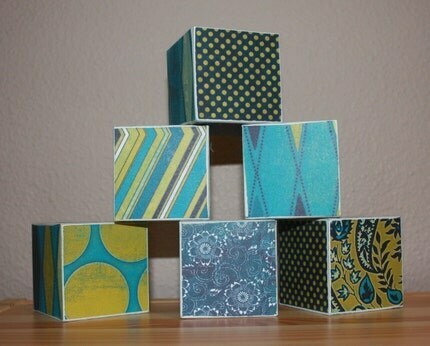 Price: The set of 6 blocks is $16. 15 blocks is $20 and 30 blocks is $36. 14 Happy Halloween is $19.50. I think these prices are all very generous. 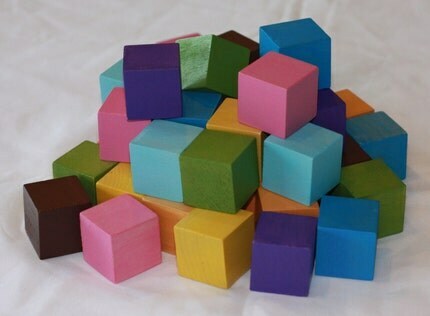 The pack of 50 plain colored blocks are $19.50. Her6 pack of hangers $24 and the 3 packs are $12. 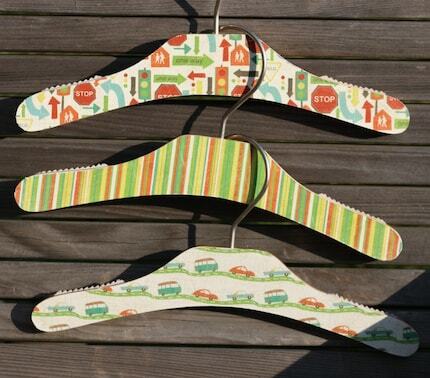 To know that these are all handmade by one single person I think these are great prices. Overall: ***** very happy with our blocks so far. Nothing has peeled off and Avery is notorious for peeling EVERYTHING she can peel. So we've lucked out! I would choose the wooden alphabet blocks set! 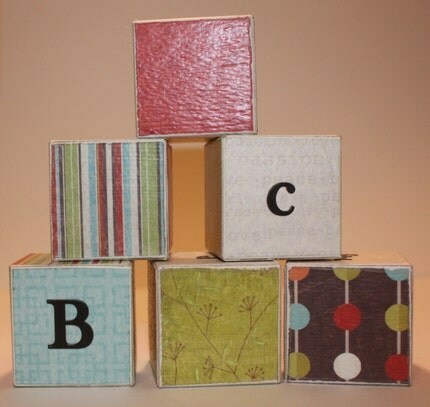 I like the Alphabet wooden blocks set of 6 all sorts of animals. I would choose the Alphabet Wooden Blocks Set of 15 Striped Owls. I'd choose the alphabet blocks set of 15 with the owls! I'd love to get the Alphabet Wood Blocks Set of Six Girly Animal Alphabet Soup. I'd choose the owl blocks! If I won I would choose the Alphabet Wooden Blocks set of 15 with Dinosaurs and Stripes. #1 Following your blog through GFC @Alisha L.
#2 Following your blog through GFC @Alisha L.
#3 Following your blog through GFC @Alisha L.
I would love to get the Alphabet Wooden Blocks set of 15 Bright Stripes, Dots and Flowers. I'd get the Alphabet Wooden Blocks set of 15 Girly Bliss. I would pick the Wooden Blocks Set of six Puppy and Kitty Love. I love that color scheme and the graphics! I would get the Alphabet Wooden Blocks set of 15 Girly Bliss. I follow you via networked blogs as Felicia King.